Abstract: In many contexts, patrons wish to simultaneously increase a protégé’s military power while reducing the probability of war between that protégé and its enemy. Are these goals compatible? I show that the answer is yes when states face uncertainty over military allotments. 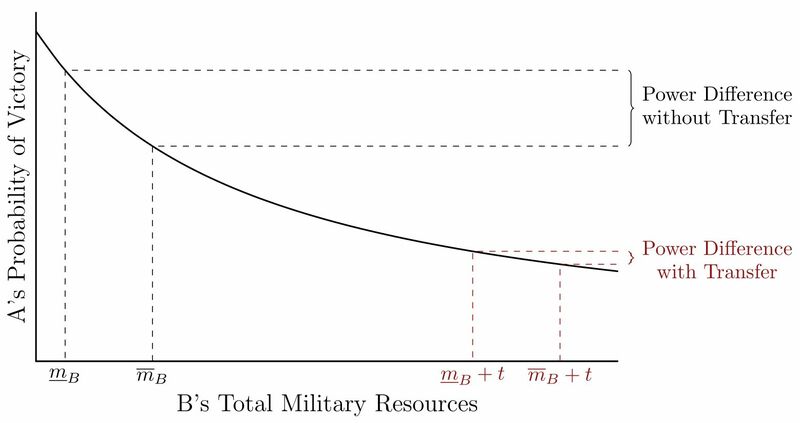 Arms transfers mitigate the information problem by making both strong and weak types behave more similarly. This encourages uninformed states to make safer demands, which decreases the probability of war. As a result, transfers to the informed actor both increase bargaining power and enhance efficiency under these conditions.